Howdy! 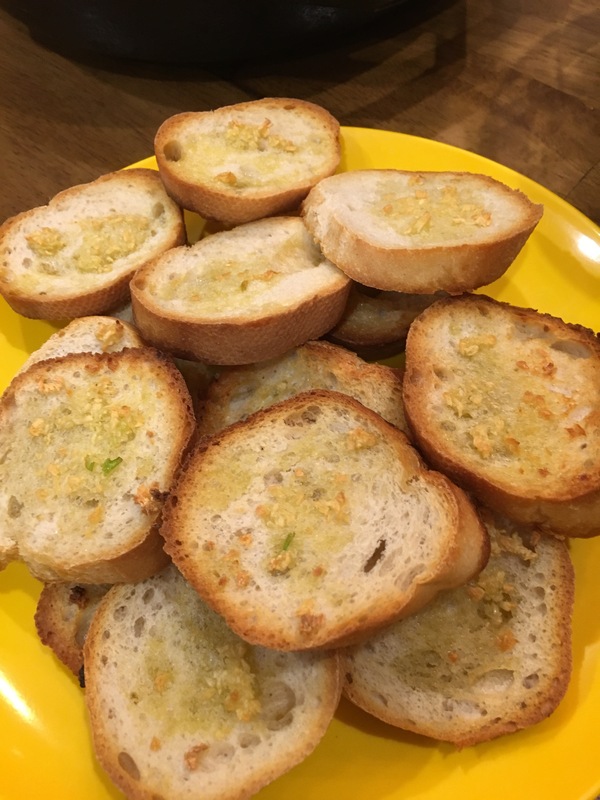 I made this Blue Apron meal last night. I changed it up a bit and added some leftover chicken from my Chicken Parm Bake. Since I am the only one who ate the salad, I added a few extras to the butter lettuce and cucumbers that were supposed to be in it. 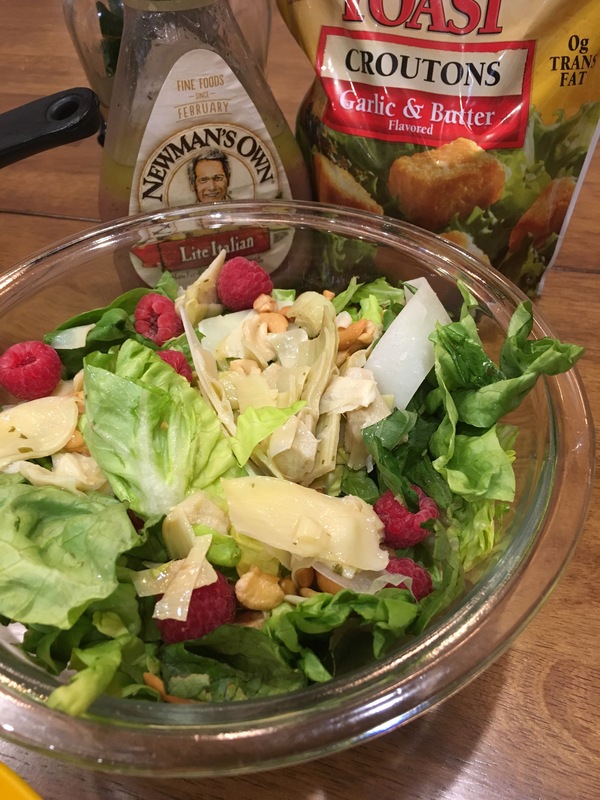 Salad with cucumbers, raspberries, artichokes, shaved parm, and cashews. Chicken Gnocchi Caprese- 1 package gnocchi, 1 cooked chicken breast, chopped, 1 can whole peeled tomatoes (I added a bit more sauce that was leftover from Saturday’s dinner), 5 cloves garlic, basil, and Italian seasoning. It was a hit! 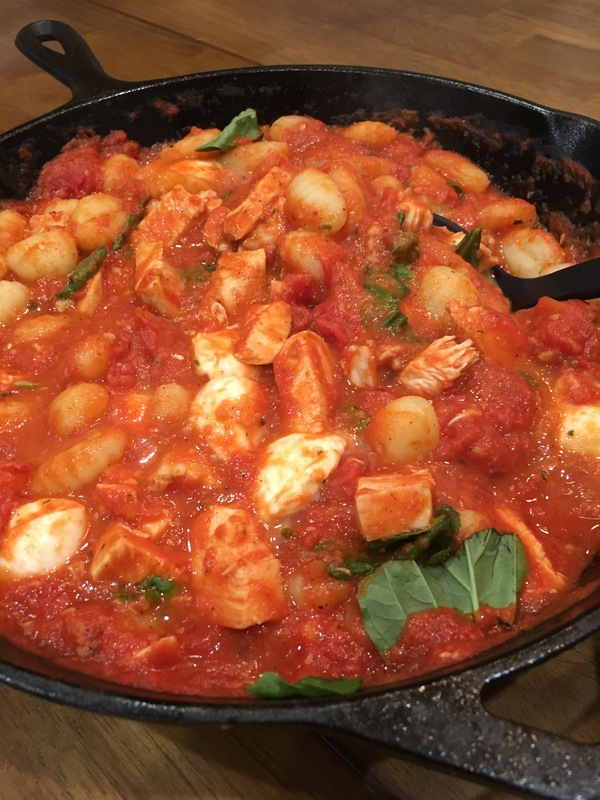 I will be adding gnocchi more to the dinner line-up!